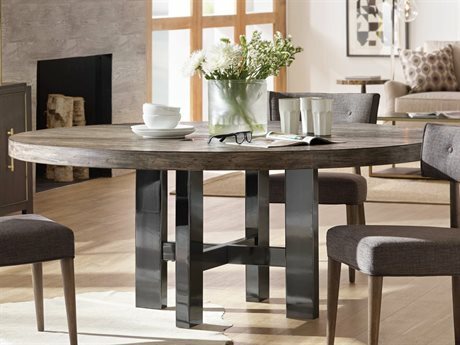 Dining room tables are an important piece to invest in, especially for those who like to entertain visiting friends or family members. 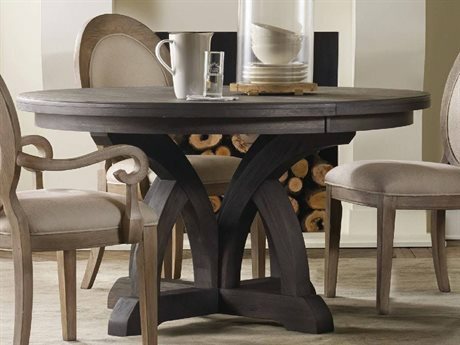 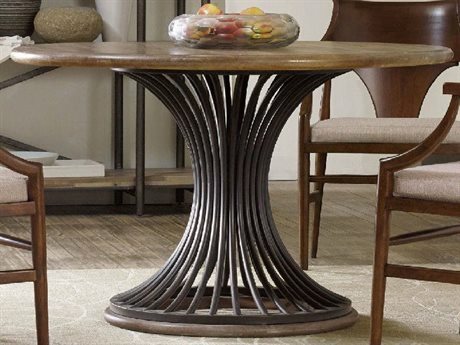 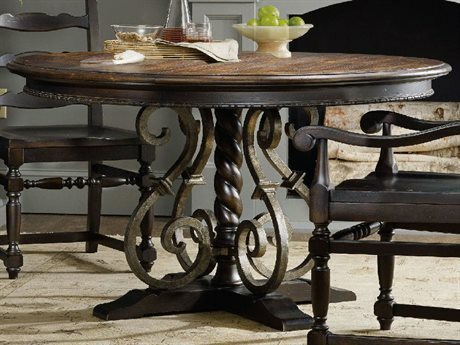 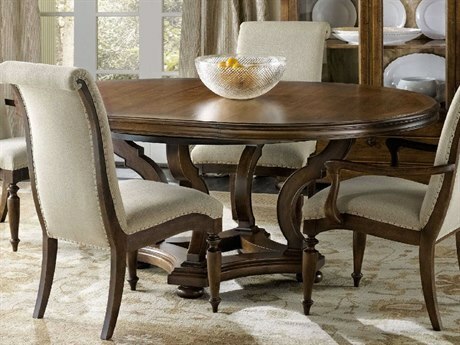 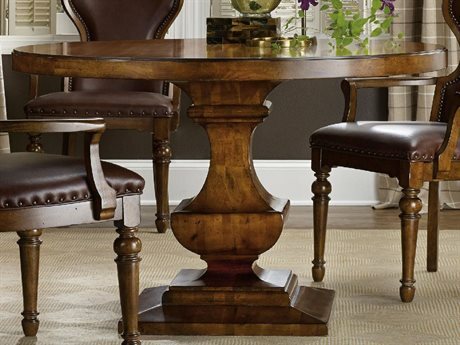 Whether you host board game nights, cocktail parties, or family dinners, luxury round dining tables are a great way to bring everyone together. 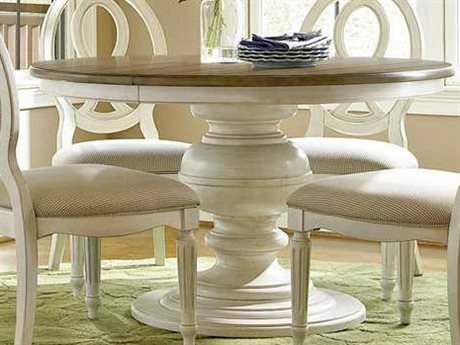 Dining tables come in many different shapes, but round kitchen tables are considered the best for conversation and entertaining. 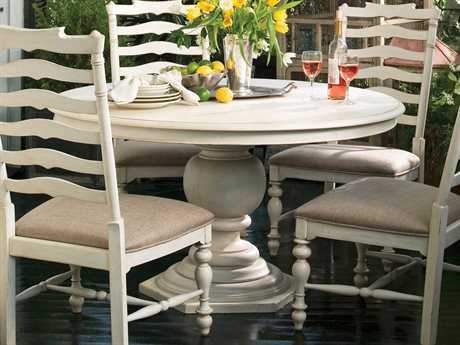 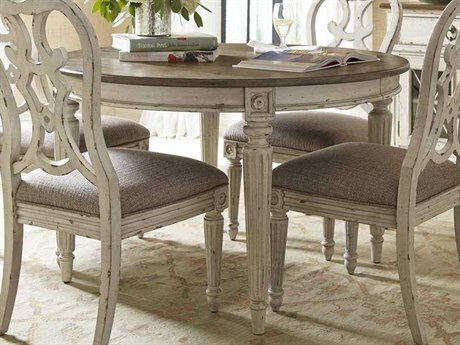 Round kitchen tables make it easier for guests to see each other and socialize. 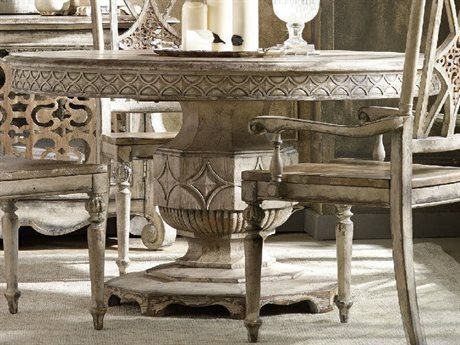 No matter what style of party you are throwing, you are sure to find the perfect table for your space in the wide selection of round tables for sale at LuxeDecor. 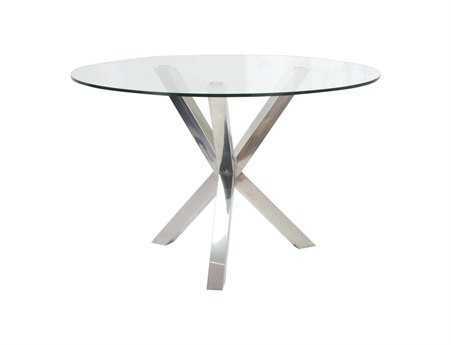 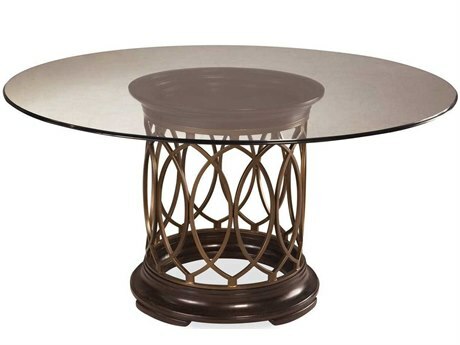 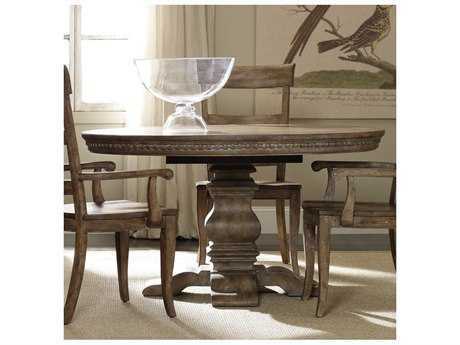 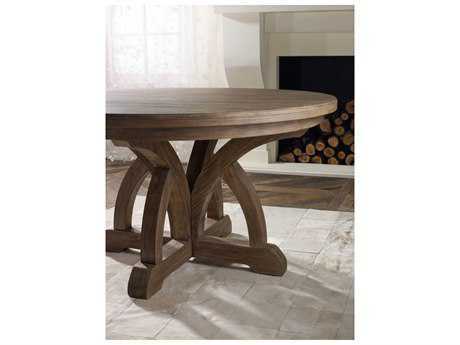 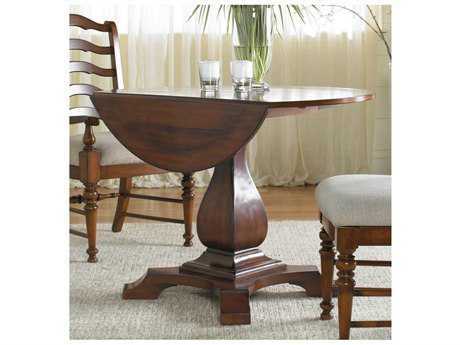 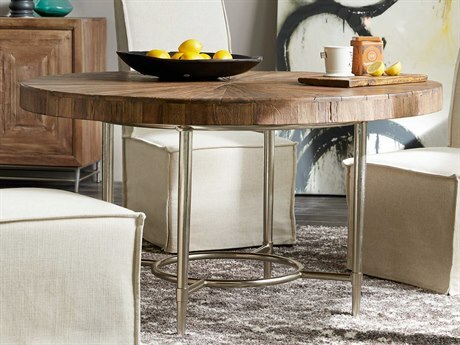 There are many styles, types, and designs of tables available at LuxeDecor. 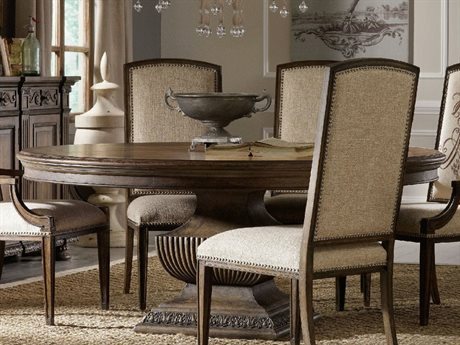 Depending on how many people you plan to accommodate on a daily basis, we have sizes ranging from a small round dining table for 4 to a medium round dining table for 6 to the largest round dining table for 8. 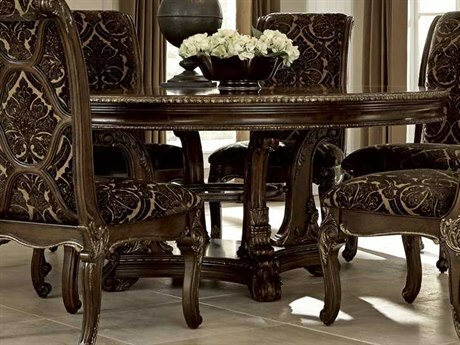 There are also 36 inch round tables, 60 inch round dining tables, and 72 inch luxury round dining tables available to ensure you find the exact size to proportional complete your dining space. 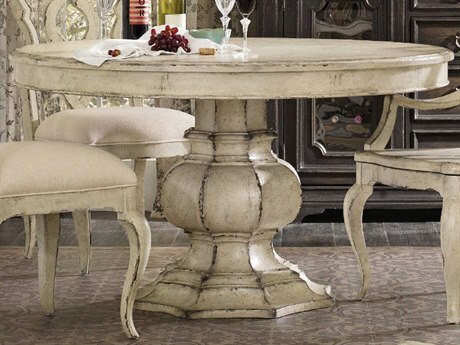 From traditional to casual to modern luxury round dining tables, LuxeDecor has styles to suit any aesthetic. 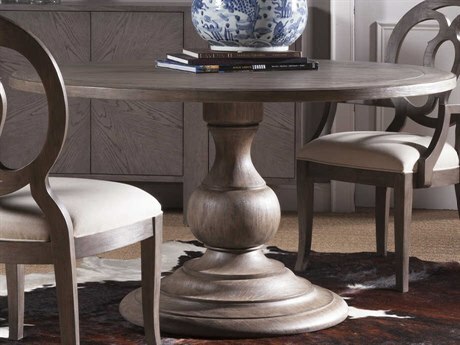 We also have a range of finish options available to ensure you can match your round pedestal dining table with your existing furniture. 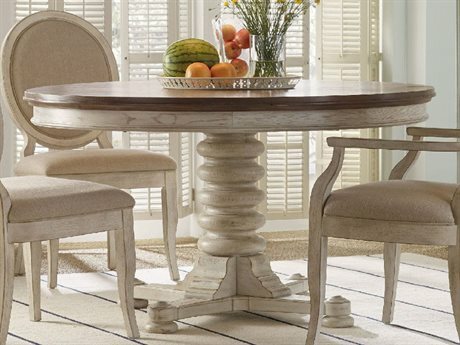 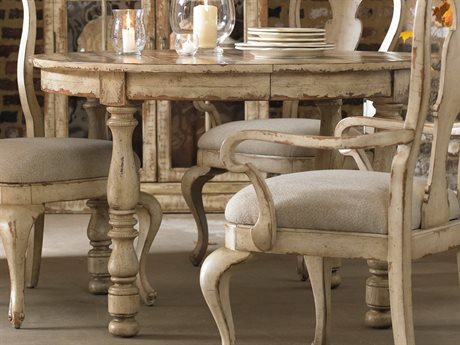 If you are looking for neutral shades, beige and white round dining tables are available. 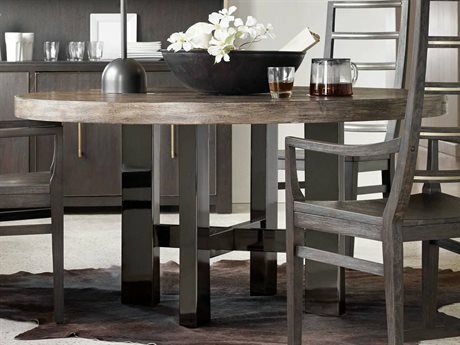 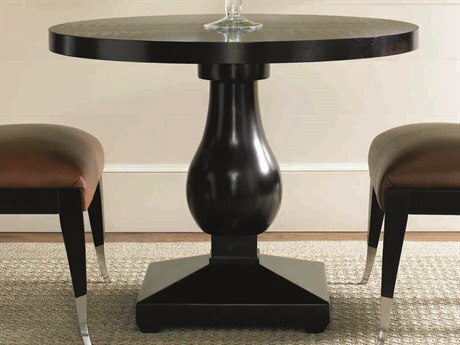 For something darker, consider ebony, brown, and black round dining tables. 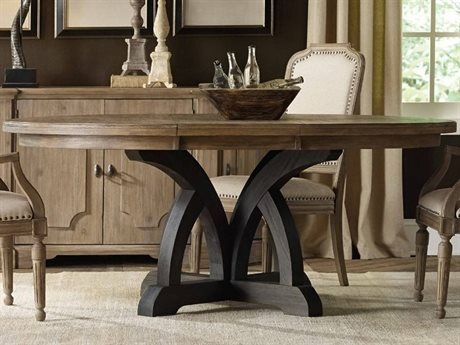 Other finish options include cherry, oak, gold, gray, silver, green, and red. 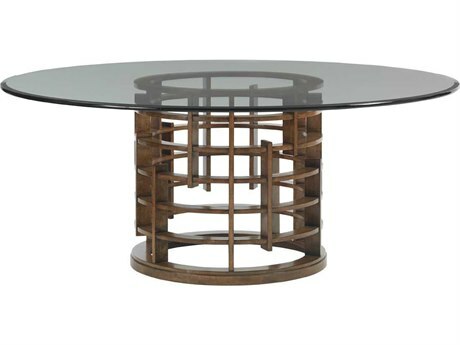 No matter what the size or aesthetic of your space, you are sure to find the perfect round glass table or wooden round table for your space with the wide selection from the industry's leading brands at LuxeDecor. 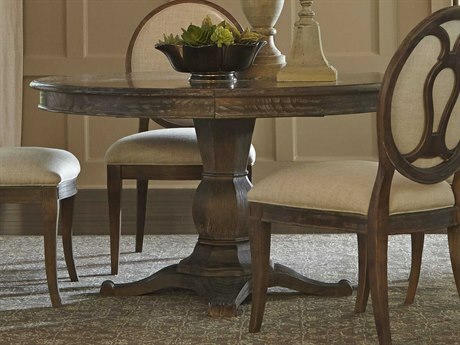 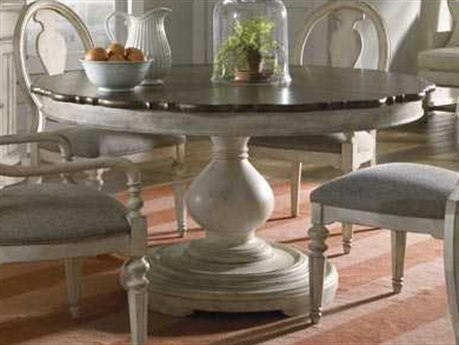 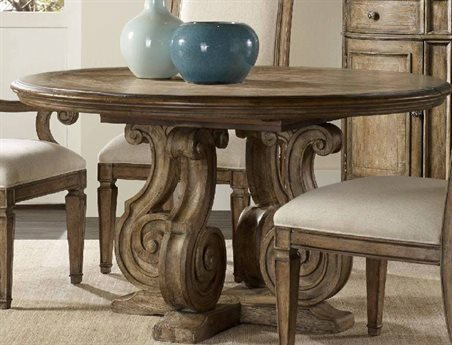 To learn more about luxury round dining tables, including sizes, seating arrangements, features, and styles, read LuxeDecor's Dining Table Buying Guide.